A gathering of the People! Celebrate the Beginning rites of Summer with the spirits of The Sun, Sky, and Stars. The success of the March festival led to the idea of a bigger event at a bigger venue for the coming summer. 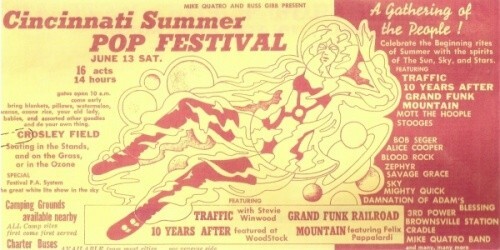 Highlights of the festival were later broadcast as "Midsummer Rock". The home of the Cincinnati Reds baseball team since 1912 till 1970 and demolished in 1972. Alice Cooper-Cincinnati Pop Festival June 13 1970. Alice Cooper (Dennis Dunaway/Neal Smith/ Mike Bruce/ Glen Buxton & Vince Furnier) at the Cincinnati Pop Festival that was shown on PBS T.V. 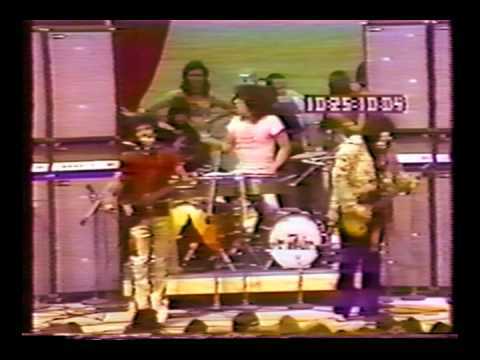 as "Midsummer Rock" this was when A. C. was a experimental group on Frank Zappa's label 'known as a Bizarre Group before the success of "Love It To Death"